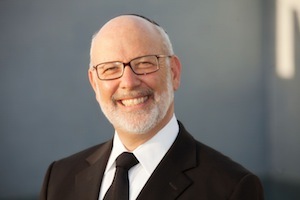 by Rabbi David Lapin	in	Vayakhel, Pekudei	on March 07, 2018 . Enduring Investment Parshat Vayakheil-Pikudei, 5778 The Nesi’im The Nesi’im (Princes of the Tribes of Israel) make a magnanimous gesture of philanthropy; they underwrite all the donations and contributions needed to build the elaborate Mishkan (Tabernacle) in the dessert. After the community has brought its donations, the Nesi’im generously offer to make up any shortfall. To their surprise, there was no shortfall. The community had overdelivered and there was no need for the Nesi’im to contribute anything at all; so they donated the precious stones of the Eifod a..
by Rabbi David Lapin	in	Ki Tisa	on March 04, 2018 . We have all had experiences when we have had to have a difficult conversation with a spouse, an employee, a child or a student, and have noticed no change in their behavior afterwards. Sometimes the conversation damages or even terminates the relationship. In these cases, we tend to blame them for not hearing us or for taking it personally, but the reason for the lack of result probably lies with us. It is likely that we came to the conversation from a place of personal anger, hurt or defensiveness, rather than from a place of true caring and love for the other. This can cause the other..
by Rabbi David Lapin	in	Yitro	on February 01, 2018 . There are not ten Commandments in the Decalogue; there are only nine. There are ten Statements though, which is why we call them the Asseret Ha'Dibrot (Ten Statements), not the Ten Commandments. According to the way we count the Decalogue, the first is not a commandment at all, it merely states: “I am Hashem your Divine Power who removed you from Egypt, from a place of slavery.” (In the Christian version, the first commandment includes: “You shall have no other gods before me;” but in the Torah this is part of the second statement.) There seems to be no ..
by Rabbi David Lapin	in	Bo	on January 18, 2018 . Parshat Bo I would have expected the first mitzvah (commandment) of the Torah to be the first of the Ten Commandments - to have faith in one G-d. The Rambam sites this mitzvah first when he lists all the 613 mitzvot and the Vilna Gaon refers to it as the foundation of all the Mitzvot. Perhaps the first mitzvah could have been “Love your neighbor as yourself” which Hillel refers to as a foundational principle of the Torah, or the laws of Shabbat about which the Talmud says, Shabbat observance carries the same weight as observance of the entire Torah. The first..
by Rabbi David Lapin	in	Vaera	on January 11, 2018 .
by Rabbi David Lapin	in	Shmot	on January 04, 2018 . Shemot, 5778 Suffering and Success Why does every major accomplishment of the Jewish People seem to come at a terrible cost? Freedom came at the cost of centuries in slavery. Nationhood came at the cost of forty years of desert wandering, the death of a generation of Jews and uninvited battles with powerful tribes. Even in our times, the Jewish State seems to have been made possible by the horrors of the holocaust and it is kept viable through the constant sacrifices of beautiful young men and women to terror and war. Is suffering inherent particularly to Jewish success or i..
by Rabbi David Lapin	in	Vayechi	on December 28, 2017 . Vayechi, 5778 לעולם אל תהי ברכת הדיות קלה בעיניך (מגילה ט"ו:) Never take the blessing of an ordinary person, lightly. Every cell of the body is attached to a Divine source and is nourished by the soul. As such we hold wisdom in every bodily cell In the same way we can generate energy and transmit and project it outwards, we can also sense and receive human energy from others. Often you meet people who exude a lot of energy. It is not only extroverts and high-energy people who give out this energy. Sometimes a quiet introvert exudes a powerful, albeit less obvious energy. Ener..
by Rabbi David Lapin	in	Vayigash	on December 20, 2017 . Inner power (introduced in last week’s essay) is not a weak form of power; it is not a substitute for the willingness to fight. Inner power lies in not having to resort to a fight because the energy you project is powerful enough, without the use of force, to persuade others of the rightness of a course of action. The players in the struggle for power over the fate of Binyamin, youngest brother of the clan of Israelites, are their leader Yehudah and the Viceroy of Egypt who, unbeknownst to Yehudah, is his brother Yoseif. Yehudah, determined to recover Binyamin at any cost, draws up to the V..